For a great day trip from Jerusalem visit the archaeological site at Qumran in the Judean desert. It takes just ½ hour by car to travel the 42 km from Jerusalem and descend the 1170 meters to the northern shore of the Dead Sea. Another option is to take a jeep ride across the desert to the site. Qumran is where scrolls written on parchment were discovered in a cave by Beduin shepherds. Take a guided tour of the site to learn who lived at Qumran, how they were able to live in such an isolated place in the desert without a natural source of water and how they supported themselves. The settlement at Qumran is named after the wadi (stream bed) that during the winter rainy season brings flood waters via channels to the pools and cisterns dug at Qumran. 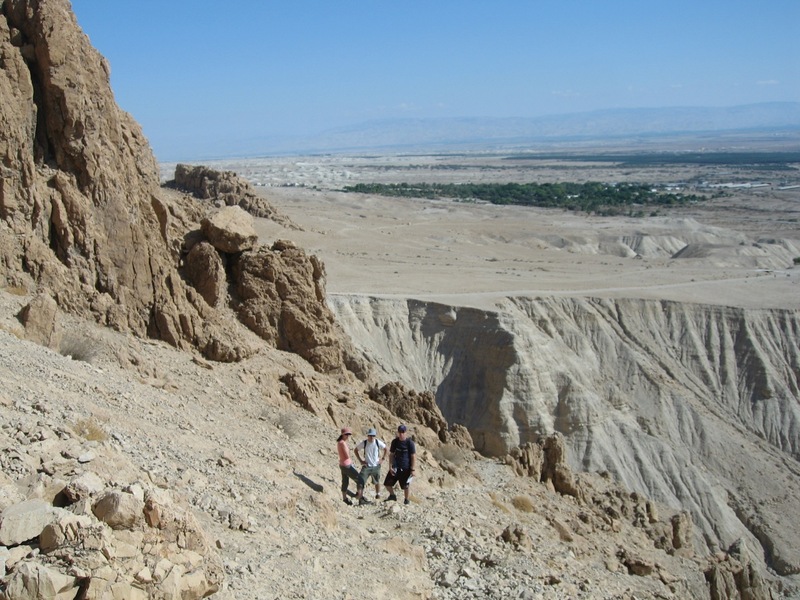 There is a nice hike in Wadi Qumran where you climb up to the top of the cliffs, along the plateau with great views of the Dead Sea and descend at Ein Feshka – the whole trek takes about 4 hours and can be done by families. Hiking up above Wadi Qumran and the Dead Sea. Hiking the cliffs above Wadi Qumran with Sumsum. Complete your day back in Jerusalem by visiting the Shrine of the Book at the Israel Museum to see the Dead Sea Scrolls and other artifacts discovered at Qumran. As your guide I will point out the conceptual design of the building by Kresler and Bartok, described as “a milestone in the history of world architecture”. The combination of experiencing the Qumran site and the very special artifacts discovered there on display at the museum is the key to understanding this historical period. 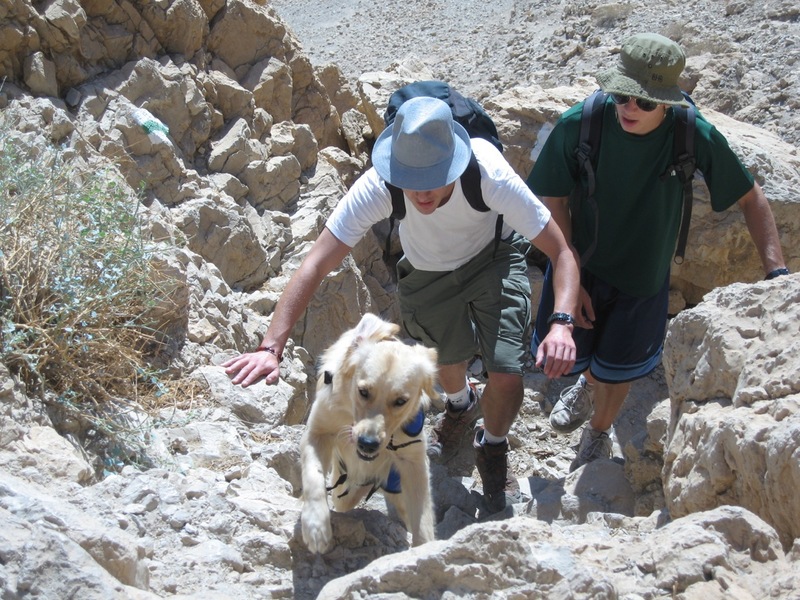 This entry was posted in Archaeology, Hiking, Jerusalem, Nature and tagged Dead Sea, Hiking, Qumran on October 27, 2008 by Shmuel Browns.